Job scams aren’t always run by shady call centers running in small back-lanes — they can also be run by large firms that operate out of swanky offices and advertise through hoardings all over the city. 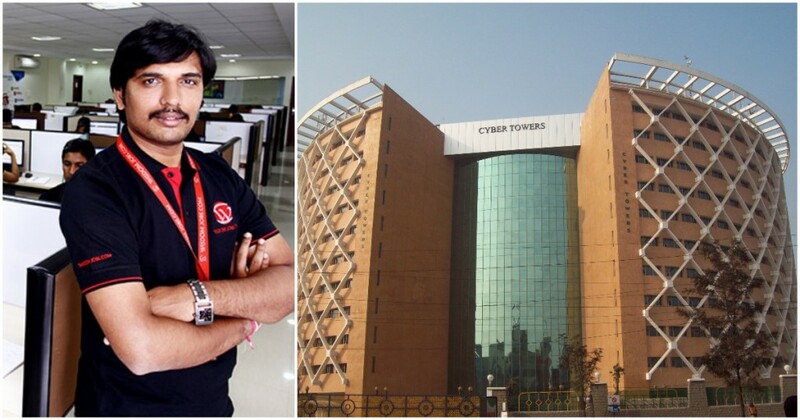 The Cyberabad police has arrested Ajay Kolla, the CEO of job portal WisdomJobs, along with 13 other senior management employees. The police say that WisdomJobs was running an elaborate scam through which it had cheated over a lakh job seekers of as much as Rs. 70 crore. The investigation and arrests were made after the complaint of a Hyderabad resident. The police explained that the job portal collected money from applicants for services like resume preparation, resume forwarding and interviews, but instead of forwarding resumes to real companies, their own employees pretended to conduct interviews. “Fake interviews conducted by the employees of the portal sitting in their office here, impersonating as the officials of different global companies offering the jobs,” said the police chief. The main complainant, Yedukondalu Gannavarapu, told the police that he was offered a job in Ravan General Petroleum, said to be from the Middle East. A woman, who identified herself as Angela Bose, HR manager of Ravan Petroleum, interviewed him for 40 minutes on the phone. He had paid $150 for resume forwarding and after the interview he paid another $525 on receiving a call from one Jessy of the same company. When he did not receive any communication subsequently and he could not reach Wisdon IT Service office over phone or even physically, he lodged a complaint with the police on January 21. The investigations revealed that Nikhita Jain, Sales Executive, Consumer Sales Division, Gulf spoke as Angela while another sales executive Madhuri Veepuri spoke as Jessy. The two accused were among those arrested. WisdomJobs claimed to be founded in 2009 with just 20 employees, but had grown to a team of 250 by 2018. Its offices were in the plush Cyber Towers in Hyderabad, and a few years ago, the company had run an extensive marketing campaign to promote its services. Through the years, WisdomJobs had won many accolades from the industry. The company was awarded with the Indian SME 100 award by India SME Forum for the year 2014-15, and also a member of the ASSOCHAM top 50 SME Index for 2015-16. The company also had an It has ISO 9001:2008 certification.